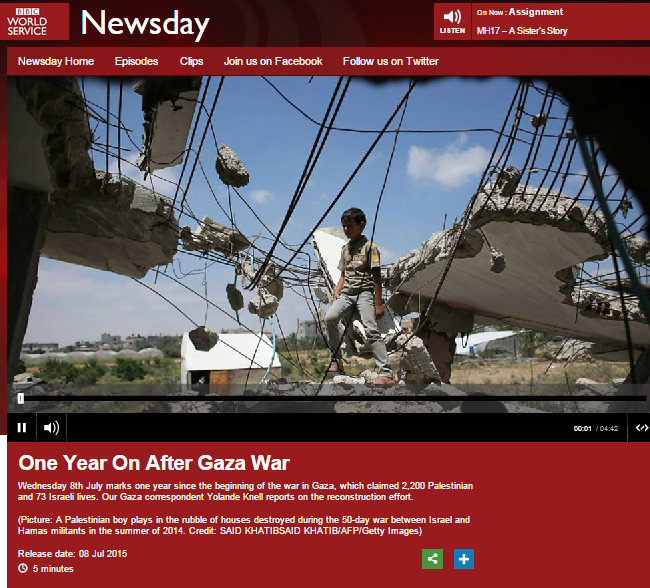 Since the conclusion of the hostilities between terrorist groups in the Gaza Strip and Israel in the summer of 2014, the BBC has devoted considerable coverage to the topic of the slow pace of reconstruction in Gaza. 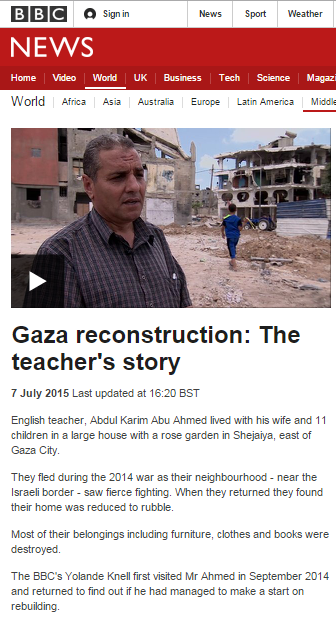 As has been noted here before, that coverage has not included the provision of information to BBC audiences on the very relevant issue of Hamas appropriation of construction materials for the purpose of rehabilitation of its terrorist infrastructure and any references to that topic have been presented using the caveat “Israel says”. Israeli officials recently announced the indictment of a Gaza Strip resident in a case related to that issue. “A Gazan has been indicted for diverting building materials meant for reconstruction in the Strip directly to Hamas’s armed wing, the Shin Bet said on Wednesday. There has been no BBC reporting on this subject to date. This, of course, is not an isolated case. “In some cases, Hamas buys the cement meant for the civilian population; in others, it seizes and confiscates it by violent means. For example, the questioning of Gaza-based merchant Khaled Lubad indicated that out of every 100 sacks of cement (meant to reconstruct an average house in the Gaza Strip), Hamas transfers only 5 or 6 to civilians. The rest is confiscated and used for Hamas’s needs. Furthermore, we have recently received reports on Hamas’s violent seizure of such materials, including raids by Hamas operatives on wood warehouses in the Gaza Strip. The contents of the warehouses were confiscated and sent to Hamas tunnels. Up-to-date information also indicates that Hamas raided iron warehouses in the Gaza Strip, seizing tons of iron and iron frames from merchants and companies. The iron and its products are used by Hamas’s manufacturing apparatus, among others, for building tunnels and posts, as well as for manufacturing rockets and launchers. Obviously Hamas’ appropriation of construction materials not only adversely affects the civilian population of the Gaza Strip now facing a second winter in unsatisfactory conditions but will also have bearing on future events in the region. But when the BBC begins to report those events, its audiences will lack the background information necessary for them to understand how and why they came about because of the ongoing policy of omission of any serious coverage of that topic.